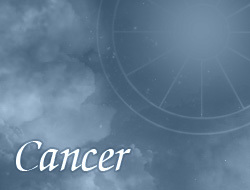 Cancers very often enjoy financial success. Repeatedly they manage to accumulate a considerable wealth – however provided that stubbornly will aspire to realization of deliberate objectives. Money is important for them, but on the first place is family. Sometimes unwillingly they part with their cash – usually must rethink everything, before get rid of a tidy sum. They strongly experience when lack of money appears – then at all costs try to find some golden mean, which will rescue them from money troubles.